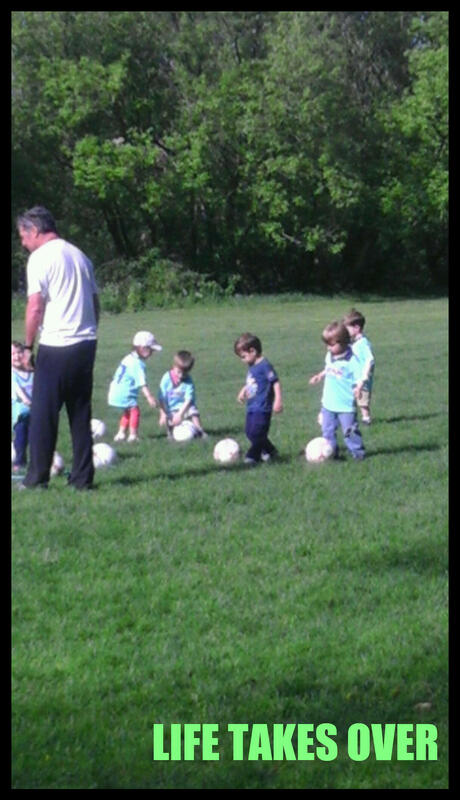 Tonight marked the first of six weeks of soccer for my kids. So the deal for me to get them there on time and keep them nourished and hydrated throughout their playing time is to get a healthy on-the-go dinner packed up along with some interesting (read: junk food) snacks and plenty of water. Then I have to pick my son up at daycare, pick my daughter up at school (she normally takes the school bus home) and then scoot to the south part of the city and deliver them to the soccer field. My biggest stress in all this? The mini, on-the-go dinner that I have to pack for my kids. Tonight it consisted of German sausage, cheddar cheese, Vegetable Thins crackers and a pear. Basically, it was all I had left in the house. Standing in front of my pantry, I closed my eyes and willed it to produce granola bars, banana chocolate chip muffins, some fruit gummies and maybe even some cookies. No.Such.Luck. I spoke not a word of this to my two hungry kids. I handed them their sacs of food to be consumed in the car on the way to soccer and held my breath that they would not complain. Not only did they not complain, my daughter ate just about all of her bagged dinner. And my son, though slower, did manage to consume his crackers and his pear. Mid-way through soccer, I could see my son fading and I had nothing else to offer him. I had no snacky food; nothing packaged and ready to go. I usually pride myself on this; the fact that I don’t have a pantry full of snacks aimed directly at kids. I’m helping the environment by not buying individually packaged foods and I’m keeping my kids healthy by avoiding sodium and sugar packed snacks that provide little nutritional value. But even the most conscientious of parents must sometimes admit defeat in the face of tight schedules, stressed-out days, and tired, hungry kids. And so I’m giving myself permission to let go and let my kids eat some store-bought snacks. When I head to the grocery tomorrow, I’m going to stock up on granola bars, fruit gummies, fruit roll-ups, and some wholesome ingredients for some yummy whole wheat banana chocolate chip muffins (I might be able to squeeze in some baking time before next week’s soccer game). This entry was posted in Uncategorized and tagged banana chocolate chip muffins, Betterment, cranky kids, dinner time, Family, Food, food, healthy eating, healthy snacks, kids, Kids, Motherhood, Parenting, soccer, sports, Work on May 15, 2013 by Nancy. Let go, miss, let go. A couple of snacks are not going to do much harm.